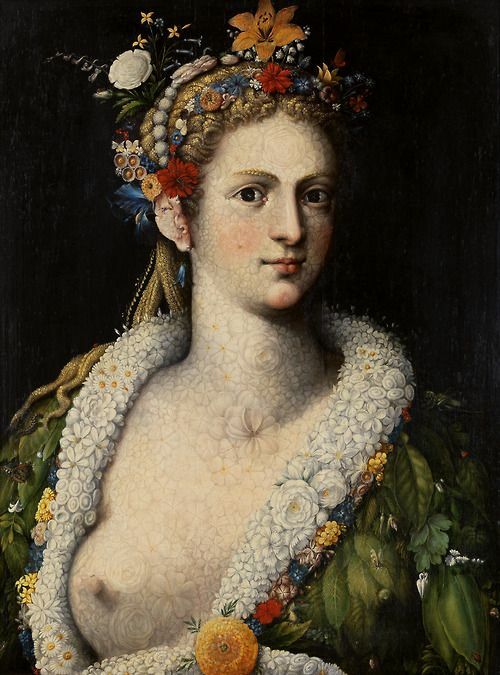 and Flora meretrix (c. 1590), loaned from a private collection and first published in 2014 by Miguel Falomir, director of the Museo del Prado and author of the principal text in the present catalogue. They are joined by Spring (1563), loaned by Museum of the Royal Academy of Fine Arts of San Fernando (Madrid), and by two contemporary copies of Autumn and Winter from the collection of the Duchess of Cardona (Córdoba, Spain), which together reveal the level of achievement of the original teste composte or "composite heads" that are so characteristic of Arcimboldo. Vertumnus (1591), now in Skokloster Castle, Sweden. 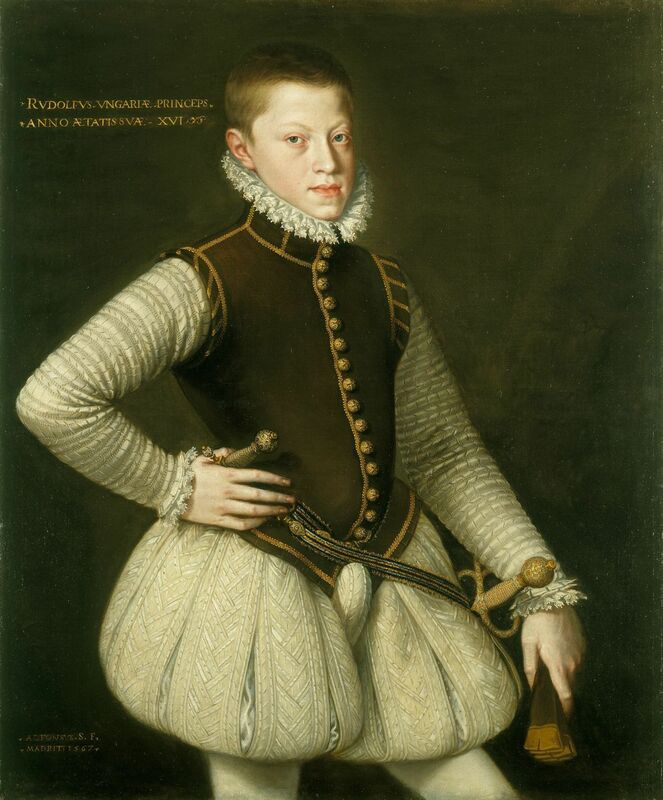 and The Archduke Ernest of Austria (1553-1595) (1568) by Alonso Sánchez Coello, both from the Royal Collection Trust in London. 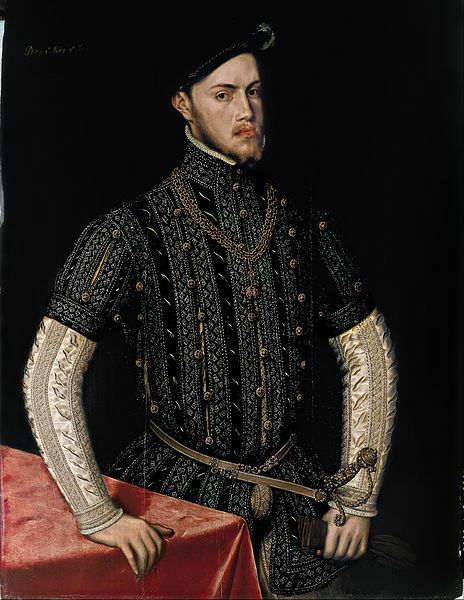 Portrait of Philip II (ca.1549-50), depicting the Spanish monarch whose collection included works by Arcimboldo. This core group of works is complemented by copies of various contemporary treatises on artistic and botanical iconography which reveal Arcimboldo's expert scientific knowledge, as well as the earliest commentaries on his celebrated artistic inventions, including the one by the painter and writer Gian Paolo Lomazzo in his `Idea del tempio della pintura´ (1590). and Garland of Flowers by Abraham Mignon. Giuseppe Arcimboldo was born in 1526 in Milan where he trained with his father Biaggio, who worked as a painter in the city's cathedral, and with his uncles Ambroggio and Gian Giacomo, both also painters. In 1549 he is first recorded as working in Milan cathedral, drawing preliminary cartoons for stained-glass windows, an activity he continued until 1557. In 1554 he became independent of his father and while continuing to be employed by the cathedral also undertook other projects, such as the gilding of the frame for Titian's painting The Crowning with Thorns for the church of Santa Maria delle Grazie in Milan. Two years later Arcimboldo collaborated with the painter and architect Giuseppe Meda (1534-1599) as a fresco painter in Monza cathedral. He also worked for the church of San Francesco Grande in Milan. In 1558 the artist produced the cartoon (on canvas) for the tapestry of The Death of the Virgin for Como cathedral, although the work was not delivered until 1561. A year later, in 1562, Arcimboldo went to work for the Imperial court in Vienna, seemingly on the invitation of the future Emperor Maximilian II. He painted the series of the Four Seasons in 1563. The first documented references to the artist's activities for the Imperial court as a painter of portraits and other works of an unspecified type date from 1565. On New Year's Day 1569 Arcimboldo presented the Emperor with his series of the Four Seasons (painted in 1566), accompanied by a panegyric by the poet Giambattista Fonteo. 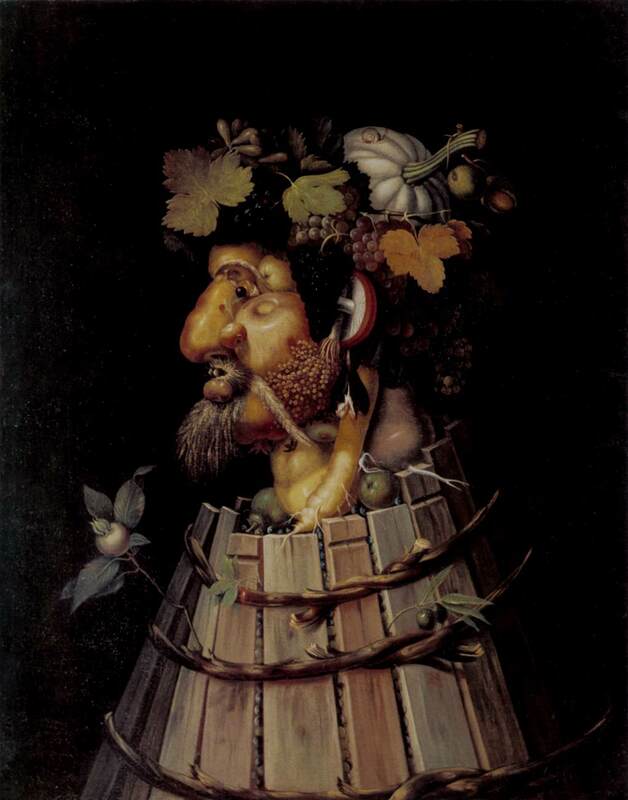 Between 1570 and 1580 Arcimboldo is documented as a designer of events, receptions, jousts, theatrical performances and other activities held at the Habsburg court. Between 1571 and 1576 he painted his self-portrait in watercolour, now in the National Gallery, Prague. In 1580 Arcimboldo was made Count Palatine by Rudolph II and the following year he returned to Milan for the third time where he made his friend Giovanni Filippo Gherardini the beneficiary of his possessions in the case that he should die before his son Benedetto (born in 1575) reached his majority. In 1585 the artist presented Rudolph II with a folder of 158 drawings comprising designs for costumes, fountains and sledges. Two years later he decided to return permanently to Milan where he remained until his death. In recognition of his many years of service to the Habsburgs, Rudolph granted the artist a special payment of 1,500 florins. 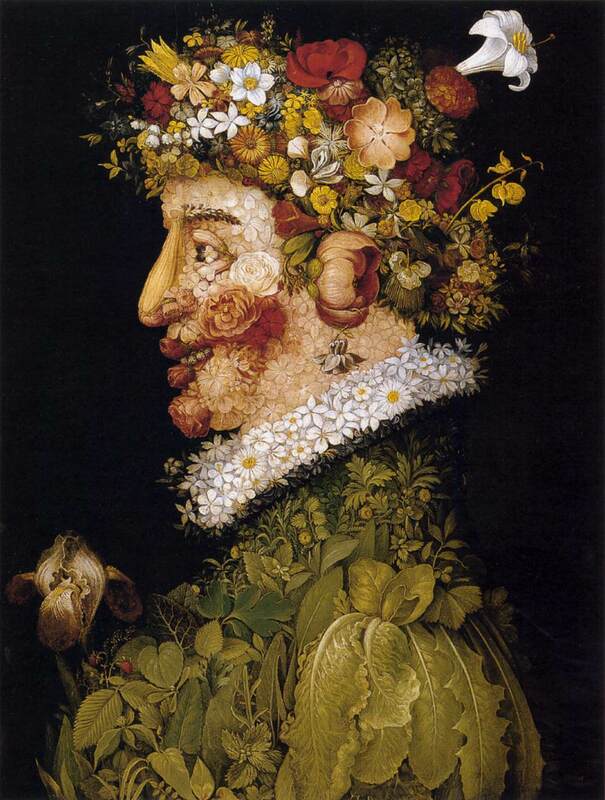 It was in 1589 that Arcimboldo decided to paint Flora, which he gave to Rudolph II on New Year's Day 1590. A year later he portrayed the Emperor as the god Vertumnus, a work that became the pair to Flora. 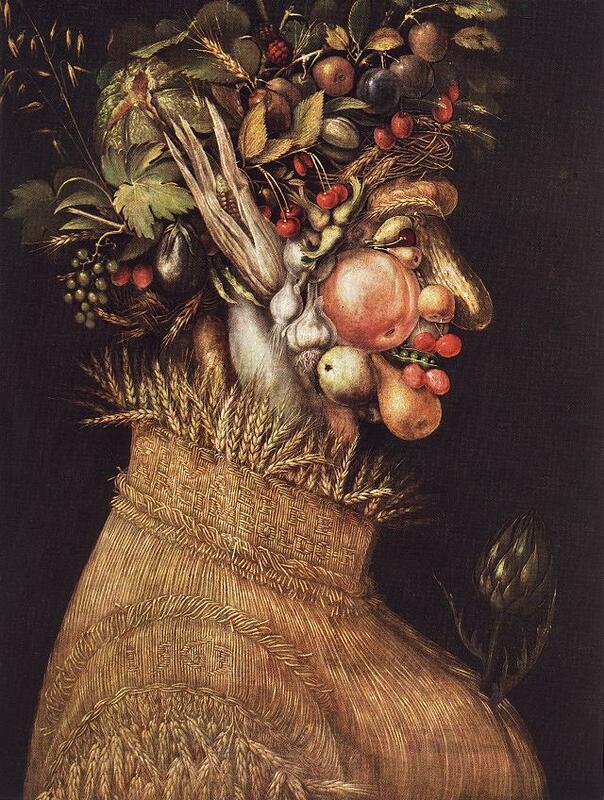 Giuseppe Arcimboldo died in 1593 in his house in Milan.